Racing has benefited from the recent mild spell as no problems are expected at any of the 11 meetings due to take place in Britain and Ireland on Boxing Day. 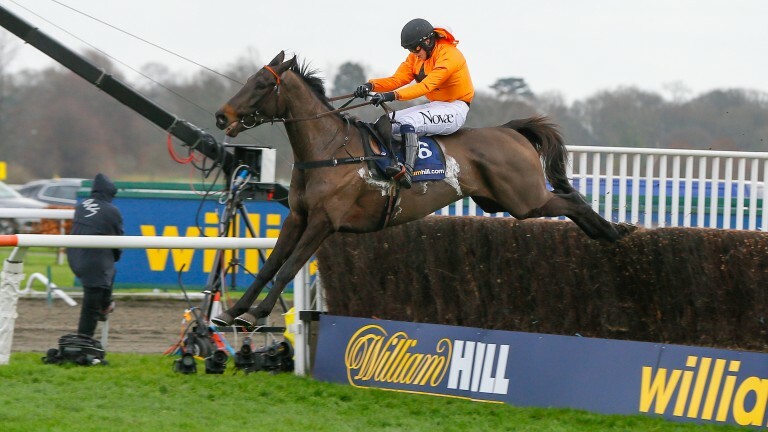 The highlight of Kempton's card, the 32Red King George VI Chase, features one of the most eagerly-anticipated clashes in recent years as stablemates Cue Card and Thistlecrack meet for the first time, and neither horse should have any excuse on the going front. Speaking on Christmas Day morning, clerk of the course Barney Clifford said: "The ground is good, good to soft in places - it's a mix of the two. The GoingStick is 7.2 over fences and 6.8 over hurdles, which is smack bang in the middle of good, good to soft. “We've had a dry night and the forecast is predominantly dry, but there’s a chance of a shower tonight." Those hoping to get a close-up view of the superstar chasers are in luck as tickets are still available for all enclosures. "Tickets can be bought on the gate and we open at 10am,” added Clifford. “There are no trains on Boxing Day so to help ease the traffic flow I’d encourage people to get here early and make a day of it - it's the must-attend event of the sporting calendar. "It's a very intriguing race. Cue Card won last year and Thistlecrack hasn't put a foot wrong. It’s going to be the clash of the titans." The Channel 4 cameras are also at Wetherby, which stages the 188Bet Rowland Meyrick Chase, and the going on Christmas Day was good to soft, soft in places. Three meetings take place in Ireland, headlined by day one of Leopardstown's four-day festival. The ground there on Christmas Day was soft, yielding in places, according to a racecourse spokesman.